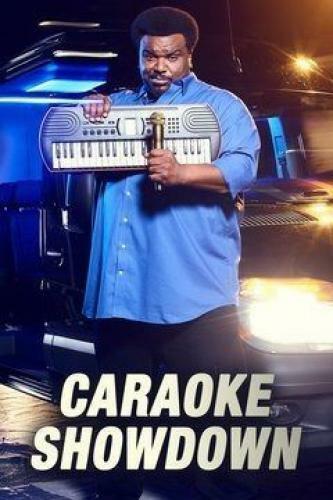 When will be Caraoke Showdown next episode air date? Is Caraoke Showdown renewed or cancelled? Where to countdown Caraoke Showdown air dates? Is Caraoke Showdown worth watching? Unsuspecting riders get the surprise assistance from a barbershop quartet; Adam Carolla shares a backseat with three excited nurses. Howie Mandel and a horde of Elvis impersonators make a special appearance to help karaoke teams make it to the finals. Christina Milian hops in the van to help karaoke contestants choreograph a win. Some of the hottest drag performers in Las Vegas take over Craig's van to help contestants win cash playing karaoke games. Caraoke Showdown next episode air date provides TVMaze for you. EpisoDate.com is your TV show guide to Countdown Caraoke Showdown Episode Air Dates and to stay in touch with Caraoke Showdown next episode Air Date and your others favorite TV Shows. Add the shows you like to a "Watchlist" and let the site take it from there.